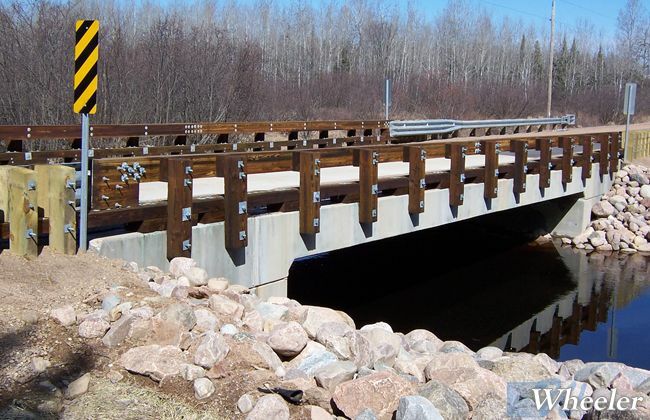 The USDA Forest Service Forest Products Laboratory, in cooperation with the U.S. 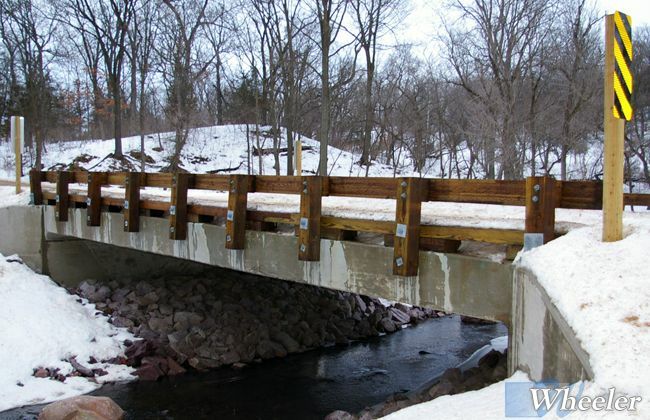 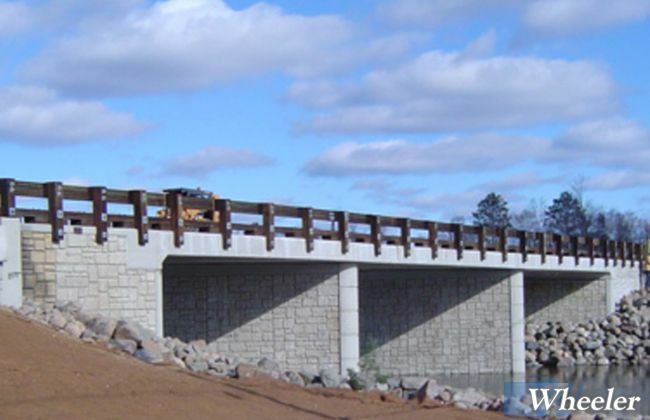 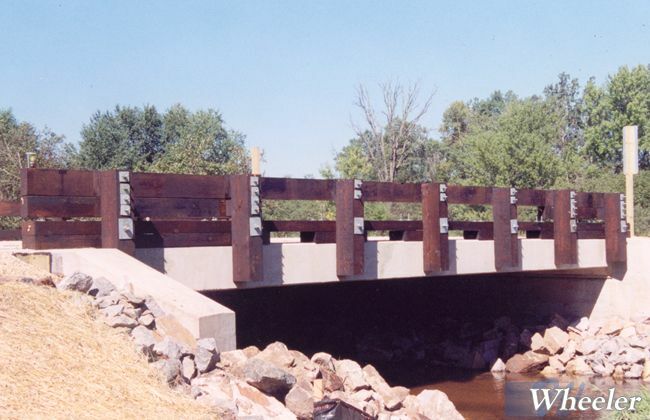 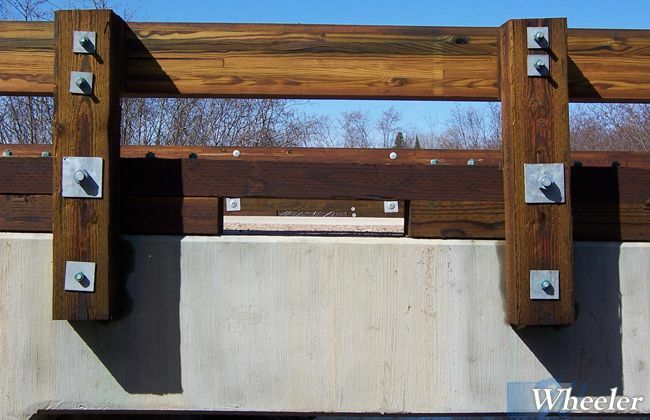 DOT Federal Highway Administration and the Midwest Roadside Safety Facility, have adapted several crashworthy timber bridge railings and approach railing transitions for use on concrete bridge decks. 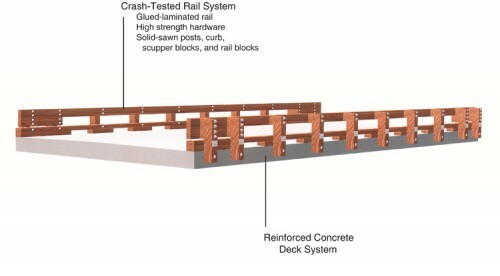 The details closely match crash-tested railings provided by Wheeler for many years. 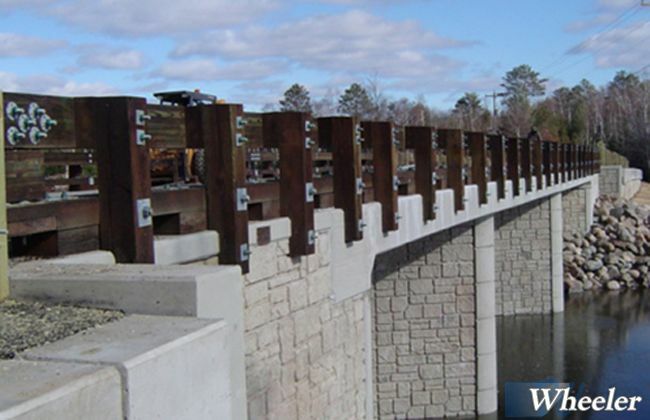 We offer complete material packages based on the standard drawings issued by the USDA FS FPL. 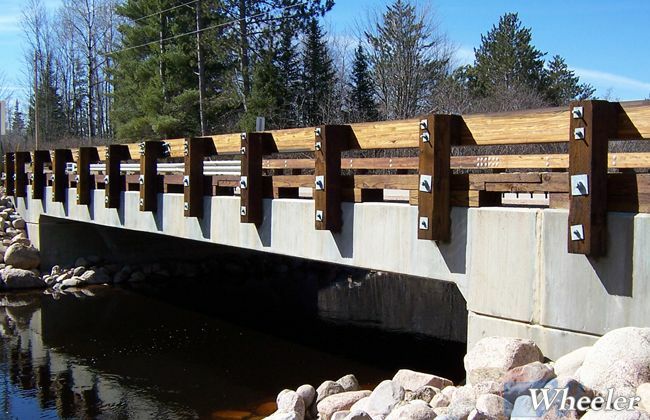 All timber materials are pressure treated and all hardware is hot-dipped galvanized. 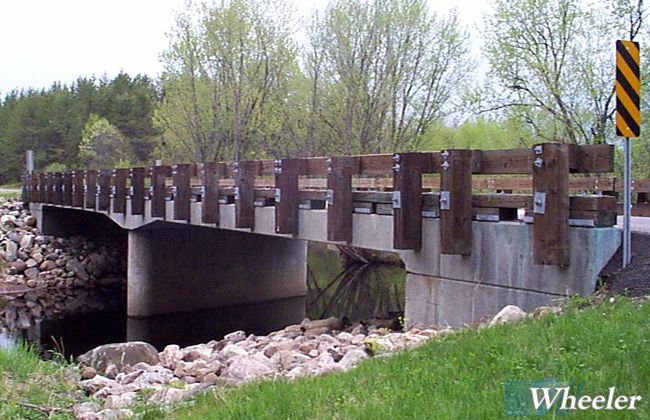 Appropriate material certifications are available.